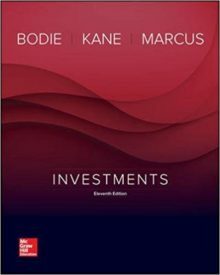 The integrated solutions for Bodie, Kane, and Marcus’ Investments set the standard for graduate/MBA investments textbooks. The unifying theme is that security markets are nearly efficient, meaning that most securities are priced appropriately given their risk and return attributes. The content places greater emphasis on asset allocation and offers a much broader and deeper treatment of futures, options, and other derivative security markets than most investment texts.